This one day event will be an engaging festival sponsored by Blick Art Supply, Jerry’s Artarama, and NSU Art Museum. Featuring 2D & 3D professional street painters from all over the state. 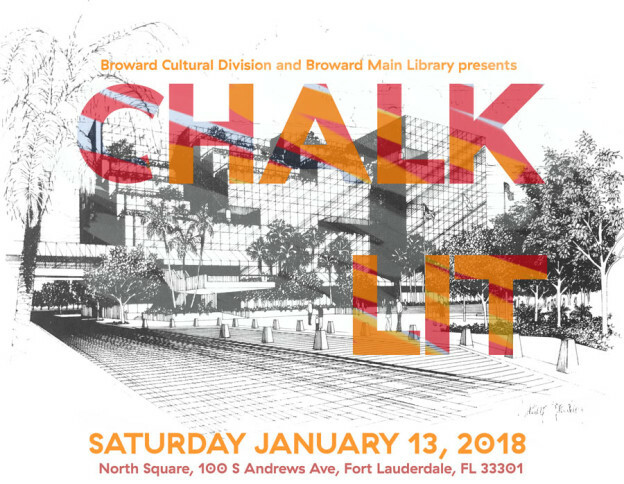 This entry was posted in News and tagged 3D art, art Hive, blick art supply, Broward academy, Broward art, Broward County, Broward cultural division, Carrie Bennett, Chalk art, chalk festival, Fort Lauderdale, Jerrys Artarama, literature, Main Library, pavement art, street painting on December 4, 2017 by Carrie Bennett.